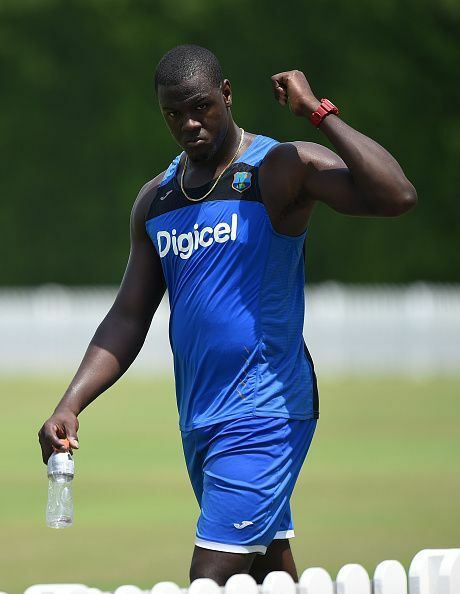 Carlos Brathwaite is a West Indies cricketer, who plays as a right arm fast medium bowling all-rounder. Carlos was born on 18 July 1988 in Barbados. His first impressive performance came against Trinidad and Tobago where he took 7 for 90 for Barbados. He had a successful overall tour where he took a total of 26 wickets in eight games. In 2011, Brathwaite made his international debut in a T20 against Bangladesh. After few days, he made his ODI debut too. He could pick up just one wicket in his T20 debut and went wicketless in the maiden ODI. After very unsuccessful performances in both the matches, he was dropped from the side and was ignored for three long years. He played his maiden Test in 2015 but has played only three Tests till now. His comeback in international cricket in 2015 was a turning point in his career. He became a regular member of the team after his performance of chasing 19 runs in the 2016 ICC World T20 final in the final over. He hit four sixes off Ben Stokes in the final over to win that dramatic match. In 2016, Carlos Brathwaite replaced Darren Sammy to become the captain of West Indies during the Indian series in Florida. He is still the captain of West Indies T20 side. After his performance in 2016 World Twenty20 final, Brathwaite was bought for a whopping Rs. 4.2 crores by Delhi Daredevils in the 2016 edition of the Indian Premier League. He also helped the Dublin based Leinster Cricket Club to win the Bob Kerr Irish Senior Cup in 2009 defeating Donemana Cricket Club in the final.